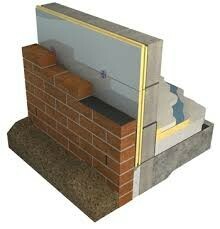 Eco-Cavity Full Fill is suitable for full fill cavity wall applications, whilst maintaining a residual 10mm cavity. Eco-Cavity Full Fill is high performance insulation, and provides a cost effective means of reducing CO2 emissions and achieving compliance with Building Regulations / Standards. Maintaining a residual 10mm cavity helps resist moisture transfer, aids installation and accommodate mortar squeeze. Eco-Cavity Full Fill comprises a fibre free rigid polyisocyanurate (PIR) insulation core with aluminium foil composite facing on both sides. The tongue and groove edges ensure a continuous layer of insulation which increases protection from wind driven rain and also aids installation. 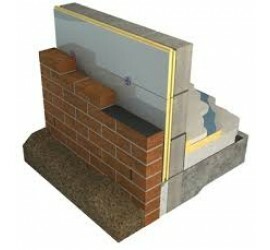 Eco-Cavity Full Fill boards are conveniently sized to co-ordinate with standard brick and block dimensions allowing easy insertion of wall ties into the construction at the appropriate spacing.